Is Diablo III coming to consoles? That's not a question Blizzard's going to answer until they finish the PC version, and judging by today's letter from game director Jay Wilson, they've still got quite a ways to go. While we eagerly await the release, developers are still figuring out the game's core systems. The Diablo III Blizzard eventually releases on the PC will be significantly different than the one we played in beta last year. That should come as no surprise to anyone that's attended the past three BlizzCon conventions, witnessing the game's metamorphosis from year-to-year. In a post on the official Diablo III website today Jay Wilson detailed a rather significant list of changes being implemented. For example, they're taking identify scrolls out of the game completely. Rather than having to cast the identify spell from a disposable scrolls every time you come across an unknown magical item, you simply click it, wait for a short timer to run out, and discover its properties. If it's going to be that easy they should simply remove unidentified objects from the game altogether, but I'm not a game designer and don't pretend to understand their mindset. Other changes include the removal of the Cauldron of Jordan and Nephalem Cube, two objects that allowed players to salvage and sell items while still in dungeons. While convenient, Blizzard felt the objects removed the need to head back to town on a regular basis. Now players will once more have to hop out, sell their items (or have the blacksmith salvage them for crafting components) and hop back in. They're also removing three attributes from the game in order to make statistics easier to comprehend. Defense, Attack, and Precision are cut, with Armor taking over for Defense and +Crit Chance in place of Precision. This leaves the four core attributes — Strength, Dexterity, Intellect, and Health — a much easier-to-understand lineup. It feels rather late in the game for Blizzard to be making such sweeping changes, but that's where the company's "When it's done" release policy kicks in. As Wilson says in his post, it's not just about getting a game on the shelves; it's about getting a game on the shelves that will stand the test of time. 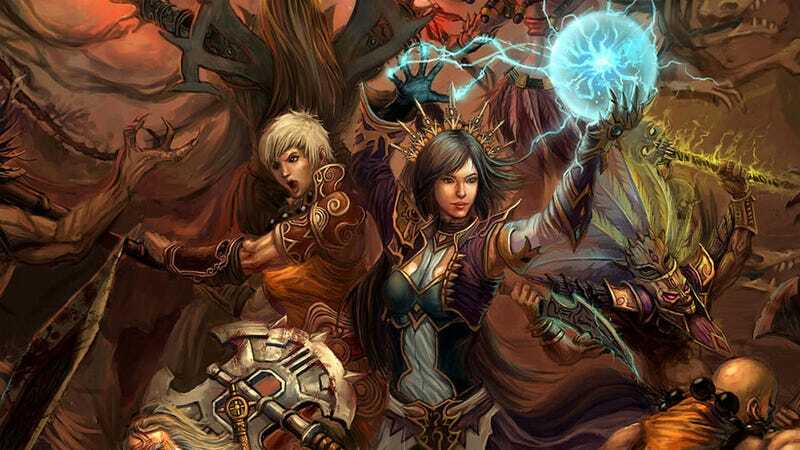 We want Diablo III to be the best game it can be when it launches. To get there, we're going to be iterating on designs we've had in place for a long time, making changes to systems you've spent a lot of time theorycrafting, and removing features you may have come to associate with the core of the experience. Our hope is that by embracing our iterative design process in which we question ourselves and our decisions, Diablo III won't just live up to our expectations, but will continue to do so a decade after it's released.